Wow! Very clever and thought-provoking analysis. Having just finished the book and been mulling over its themes for a while, I’m sure glad I read your analysis. Excellent points about Martel’s religiosity and connections to Life of Pi. Very clever bookends to the article as well. Great read! Thanks Kevin! I’m glad you enjoyed the essay. I’d love to hear any thoughts you had on the book. It’s definitely one that rewards study from many angles. Thank you. You write well. An insightful, readable and beautifully written piece. 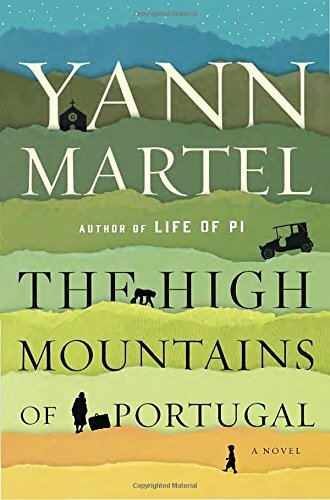 I’ve just finished the high mountains. I liked it very much. I preferred it greatly over the Life of Pi, which I felt crashed into it sending far too abruptly. The high mountains was thought provoking and I am still pondering over many of the questions. Ultimately I felt it was about how people deal with grief and loneliness. Previously I had certainly overlooked the merits of walking backwards in everyday life.